My Family Fun - Happy Feet Sing and Dance Gloria Dance and sing with beautiful Gloria! Dance and sing with beautiful Gloria! 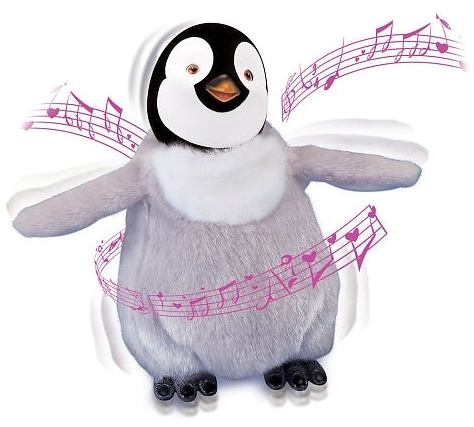 Happy Feet's Gloria dances and sings with the push of a button. Talk to Gloria and she will sing and chat with you. Press her 'dance' button and she will play and dance to clips from the song "Jump N' Move". Press the button twice and she will flap her wings and dance to any music that you play! Age: 4 years and up.